One would assume that the Chinese New Year weekend would see Singaporean Chinese flock to Chinatown to buy their Chinese New Year goods in the big way, as they stock up on traditional goods to celebrate that most important of Chinese holidays, over, say, visiting in the country’s famous Orchard Road shopping stretch. But the truth is often stranger than fiction – as numbers would show. 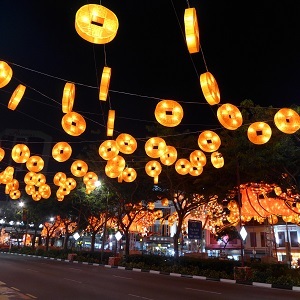 Singapore-headquartered big data and mobile advertising company AdNear recently tracked a total of 4676 Singapore-based mobile users in the shopping districts of Chinatown, Marina Bay Sands and Orchard Road over Chinese New Year weekend, and what they found out can be surprising. AdNear – which uses location data to track and drive targeted advertising across mobile devices, and whose data can be used to generate consumer insight through the real-time detection of audience geolocation – found that the vast majority of Chinese New Year shoppers actually turned up on Orchard Road, although Chinatown received more repeat visitors to Chinatown (people who were tracked in the vicinity more than once over the weekend) doubled compared to regular weekends.